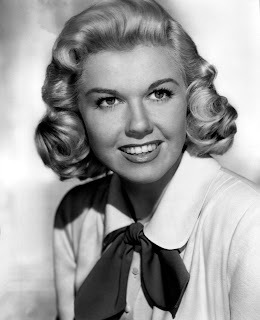 Radiating an open-hearted optimism, Doris Day become one of America’s favorite big band singers of the 1940s and film stars in the 1950s and 1960s. 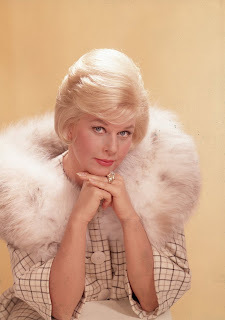 Born Doris Mary Anne von Kappelhoff on April 3, 1924, she grew up in a suburb of Cincinnati, Ohio. As a girl, she studied tap dancing and ballet with an eye toward becoming a professional dancer. She had already joined the Fanchon and Marco stage show when her career was cut short by a car accident, which shattered her right leg. Giving up her dream of dancing, Doris started studying voice. By 1938, she was singing on local radio and performing in Cincinnati clubs. At about this time, Doris took the stage name “Day,” inspired by “Day by Day,” one of her most requested tunes. Doris Day worked with Bob Crosby’s orchestra in Chicago before being hired by bandleader Les Brown in 1939. While singing with Brown’s band, she married trombonist Al Jorden, who beat and terrorized her during their brief relationship. They had a son, Terry, in 1942, and divorced the following year. In 1943, Day returned to Les Brown’s “Band of Renown,” with whom she recorded 12 hit records. Among them were “My Dreams Are Getting Better All the Time” (1943) and “Sentimental Journey” (1943). With excellent vocal control, she was known for communicating deep emotions without being overly theatrical. Day left Brown’s band in 1946, the same year she married saxophonist George Weidler. She was devastated when, eight months into the marriage, he suddenly asked for a divorce. Day married a third time in 1951 to agent Marty Melcher. 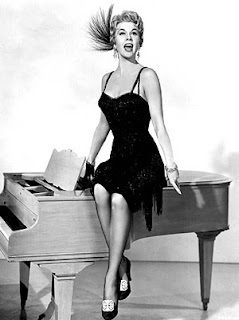 Day began her career in Hollywood in 1948, when she played a nightclub singer in Romance on the High Seas. Establishing a pattern in her early years in film, she had a hit single with “It’s Magic,” one of the songs she performed in the movie. 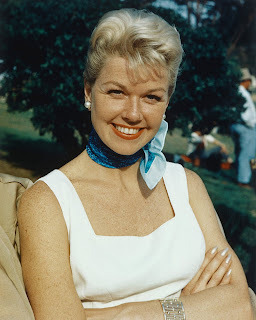 Other popular songs she introduced in her films included “Secret Love” (from Calamity Jane, 1953) and “Que Sera Sera” (from The Man Who Knew Too Much, 1956). In the 1950s, Day displayed a remarkable versatility as an actress. She excelled in such light musicals as April in Paris (1952) and The Pajama Game (1957). But she proved equally adept in dramas, including Young at Heart (1954) and Love Me or Leave Me (1955). Day, however, found her greatest film success in the 1960s. Well into her thirties, she reestablished herself as the most popular female star of romantic comedy. She was paired successfully with many leading men, including Clark Gable (Teacher’s Pet, 1958), James Garner (Move Over, Darling, 1963; The Thrill of It All, 1963), and Cary Grant (That Touch of Mink, 1962). Yet her most fondly remembered onscreen relationship was with Rock Hudson. Day and Hudson starred in three comedies—Pillow Talk (1959), Lover Come Back (1961), and Send Me No Flowers (1964). In the first two, Day portrayed happy career women, a rarity at the time. Wearing stylish clothes and frequenting sophisticated New York nightspots, these heroines were successful and secure professionals, excited primarily by their work. Day’s characters, however, were inevitably tamed by romance, and in the process accepted the roles of wife and mother as the mores of the era required. Day had her last film role in the family comedy With Six You Get Eggroll (1968). In the year of its release, her husband Marty Melcher died. She soon discovered that he had committed her to a television series without her consent. Day also found out not only that the money she had earned over her career had disappeared because of bad investments but also that she was more than $500,000 in debt. 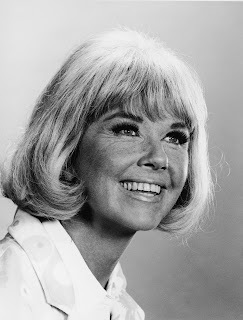 Hesitantly, Day accepted her new role as a television star, appearing in a situation comedy titled The Doris Day Show (1968–73). In her caustic autobiography, she wrote that the unexpected obligation was “doubly repulsive” to her because of the sitcom’s hackneyed premise: “A farm. A widow with a couple of little kids living on a farm. With Grandpa, naturally.” After the show, Day largely retired from show business. Except during a brief fourth marriage to Barry Comden (1976–81), Day has since devoted herself to campaigning for her literal pet cause—animal welfare—from her home in Carmel, California. Freedland, Michael. Doris Day: The Illustrated Biography. London: Andre Deutsch, 2000. 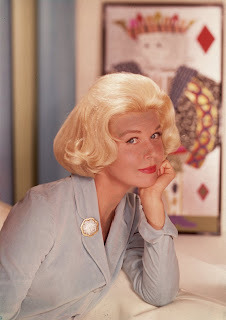 Hotchner, A. E. Doris Day: Her Own Story. New York: William Morrow; Co., 1976. Love Me or Leave Me (1955). Turner Home Entertainment, VHS, 2000. The Pajama Game (1957). Warner Home Video, DVD/VHS, 1999. Pillow Talk (1959). Universal, DVD/VHS, 1999/2000. 16 Most Requested Songs: Doris Day. Sony/Columbia, CD, 1992.